2019 Season Tickets are available for purchase for a limited time (March 18-29) ONLY! 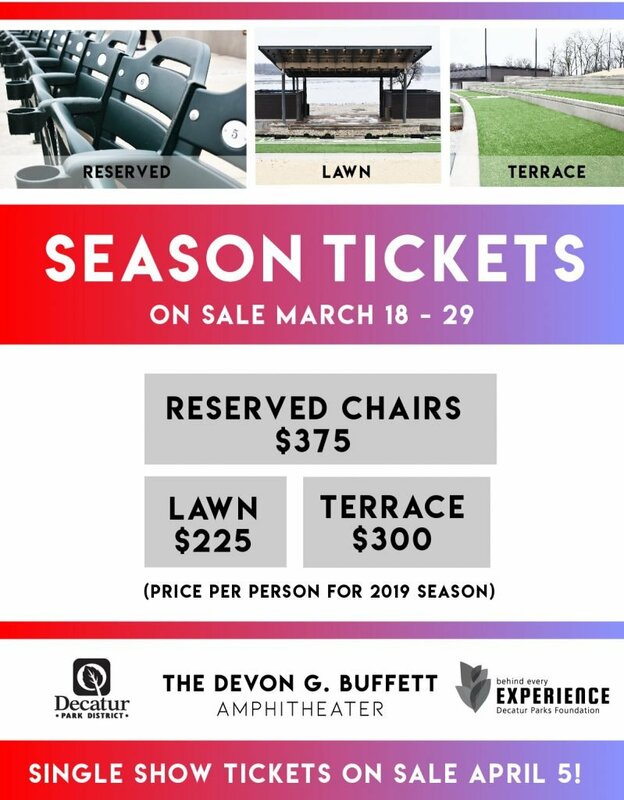 Call the Decatur Park District at 217.422.5911 to place your season ticket order. General tickets go on sale April 5, 2019. 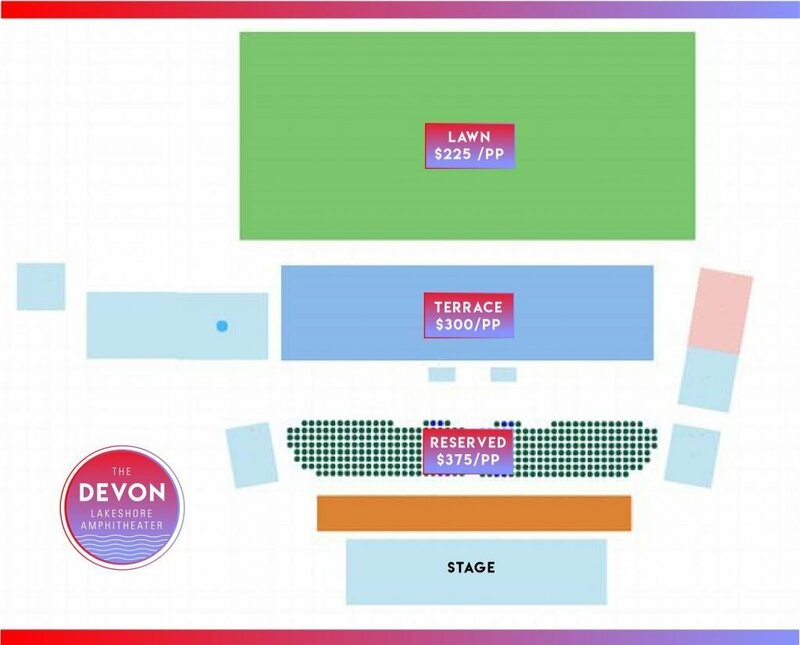 Season tickets include all shows produced or co-produced by the Devon Lakeshore Amphitheater only during the 2019 season (May – September). All season tickets are general admission except reserved seating tickets. Seats at all price levels are limited and subject to availability. PRICES ARE PER SEAT. Artists and programs are subject to change without notice. Payment processing accepts Visa, MasterCard, American Express, and Discover.